August 2 -- Fun is often just where you find it. One of the most interesting -- and fun -- corners of our town is at North Jefferson and Liberty streets. 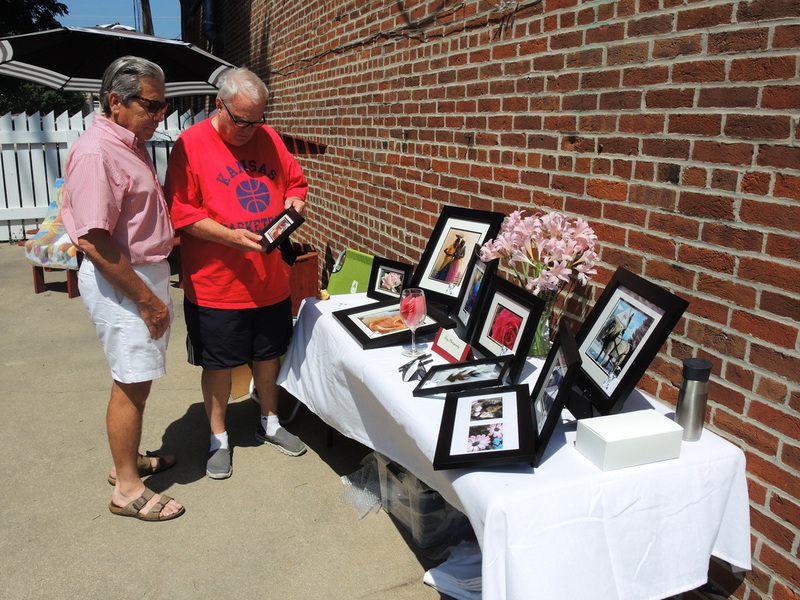 Just before lunchtime, area artists displayed some of their works on the outside patio of Sticky's U.S.A. Cafe at 11 North Jefferson St. One of the impressive displays was exhibited by photographer Larry Lacy, who knows a fine photo opportunity when he sees one. You can also see some of his works on Facebook at Larry Lacey Photography. Also on display at the show was wood paintings by Makayla Ray McGruder. Her workshop is at Patton, MO. 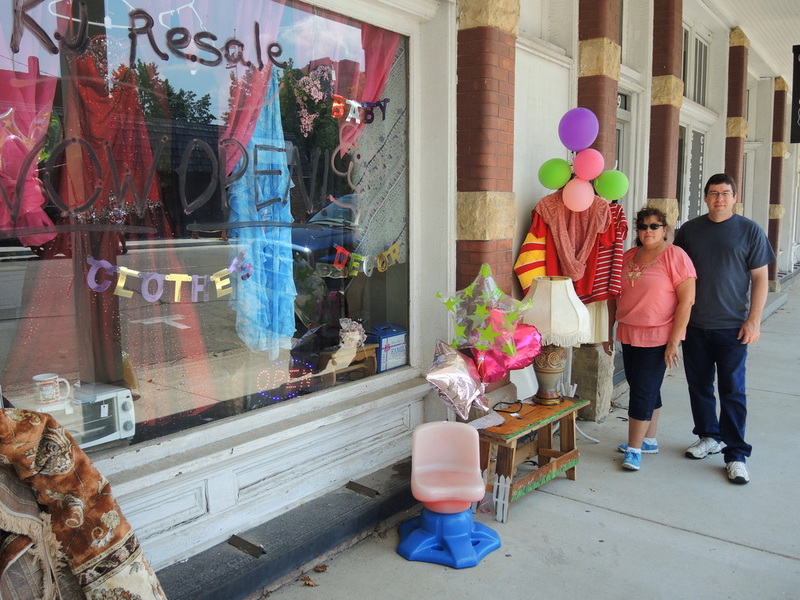 Just turning the corner to the left at 111 West Liberty Street brings one to the KJ Resale shop which is operated by Jennifer Scowden and Cindy Massey. This shop has a little bit of seemingly everything --from clothing to electrical items. It's a great place to search for treasures. Now go across the street to Get Your Party Started Inc., where they sell party supplies that are just right for birthdays, bridal showers, retirement parties and weddings. They offer tuxedo rentals, a photo booth rental, and even a party room. And to complete your party plans they also make baked goods to order. So when you have a little bit of free time on your hands, this is a great part of the city to explore. Larry Lacy discusses some of his work with Jerry Walters, long time art instructor at Mineral Area College. 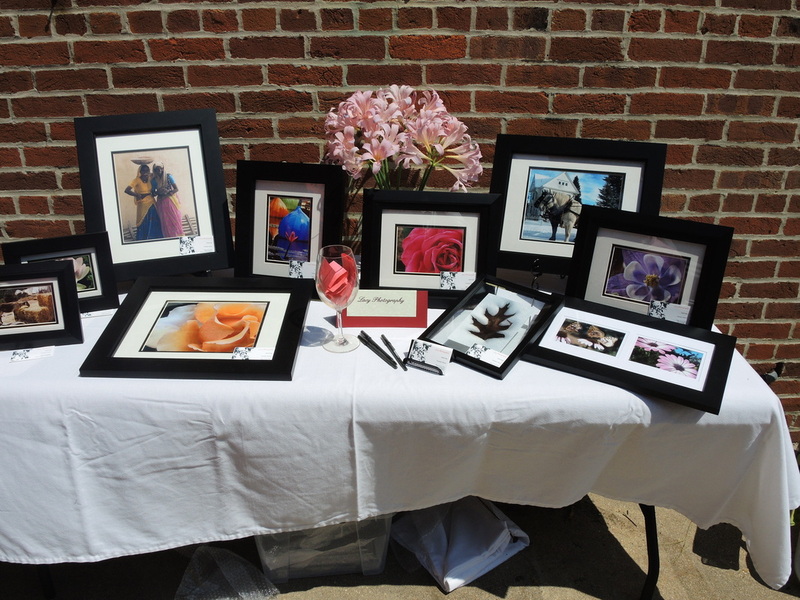 Examples of Larry Lacy style photography. Some of the visitors to Sticky's U.S.A art show. 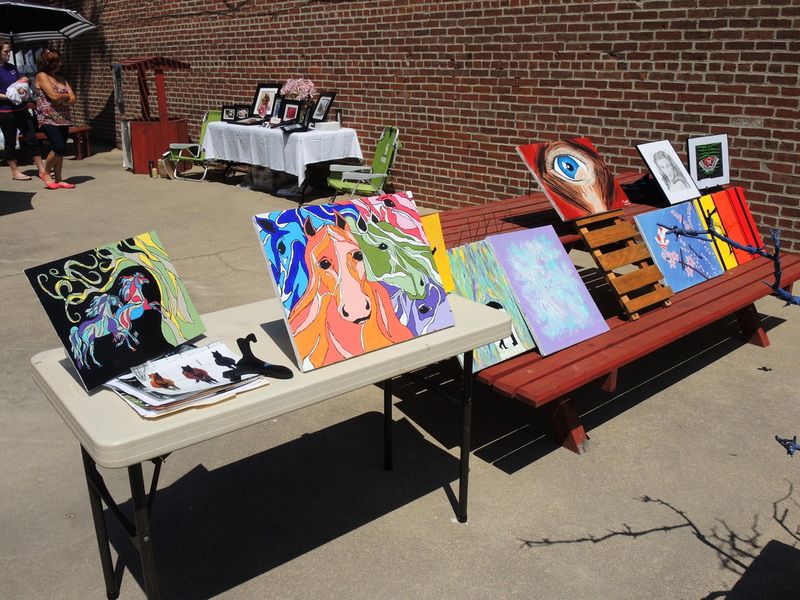 More local artwork on display helps brighten up patio art show. 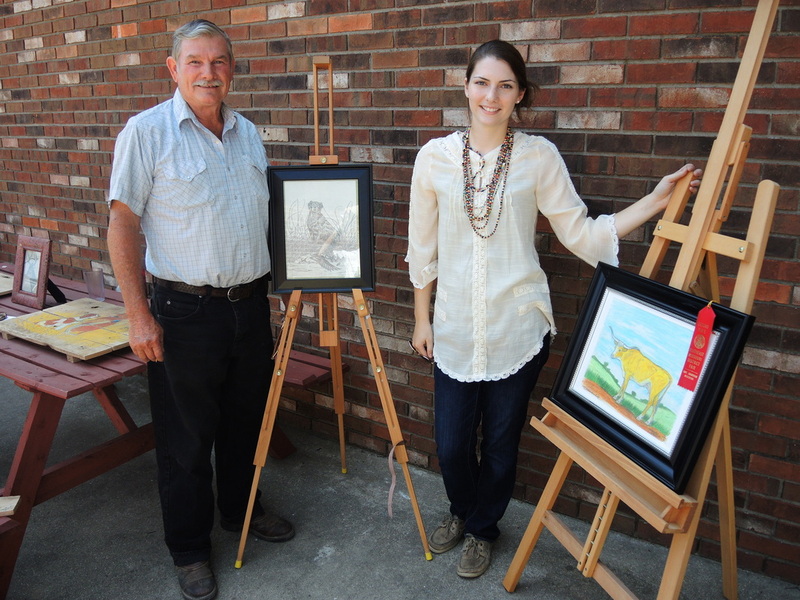 Fred and Makayla Ray McGruder display some of their nice artwork. 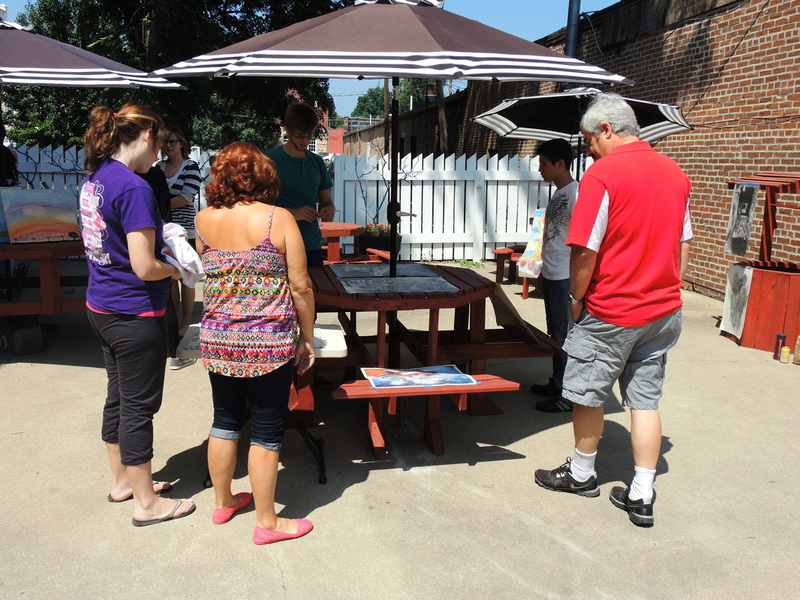 Jennifer Scowden (left) and Floyd Massey with KJ Resale's outdoor display. Jennifer with one of the beautiful gowns on display. 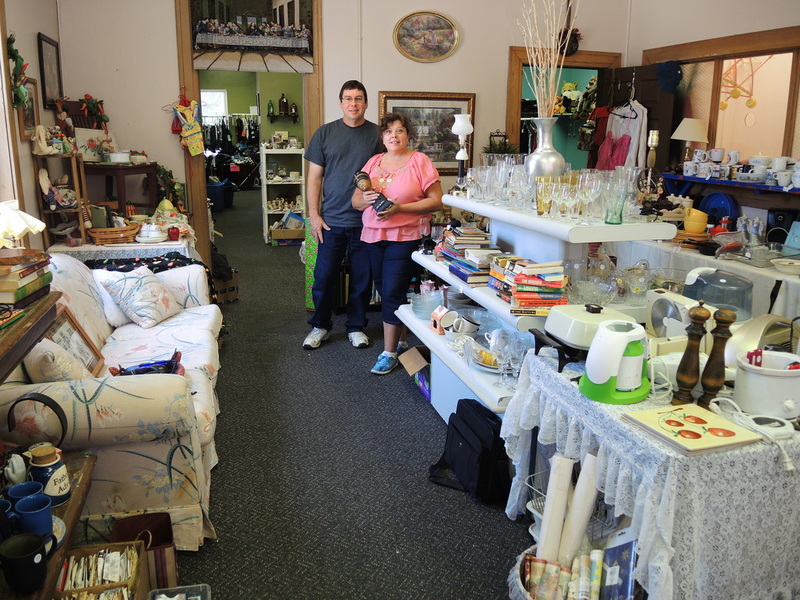 Floyd and Jennifer amid their large selection of resale items. 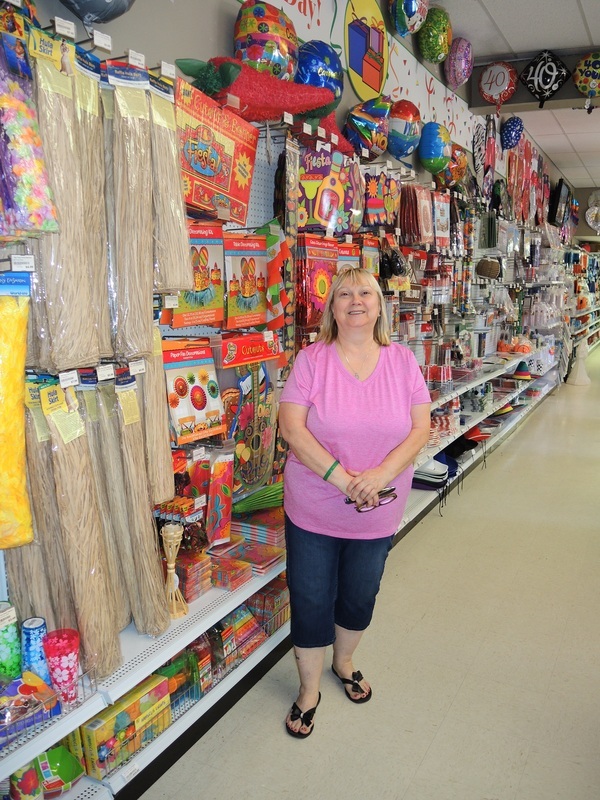 Donna Lewis can help you find that special item among the hundreds available at her store, Get Your Party Started.